Minooka Fire Protection District is seeking men and women interested in starting the exciting journey towards becoming a career firefighter. This is an excellent opportunity for highly motivated individuals, who are of good moral character, live an active lifestyle and are in good physical and health condition. 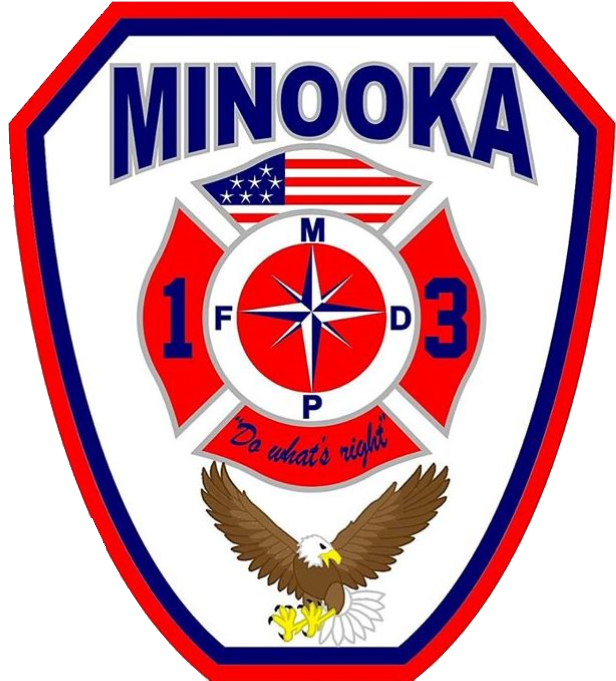 Minooka Fire Protection District is a combination department of full-time, part-time, and volunteer firefighters. We respond to all levels of incidents, including advanced life support ambulance, specialized rescue and fire suppression, as well as conduct many community outreach programs such as inspection services, fire and life safety education and public safety awareness. Volunteer firefighters work side-by-side with on-duty firefighters, responding to calls, operating apparatus and providing fire suppression, rescue and life safety services, and training. The Fire District provides successful candidates with job training, education and certifications. 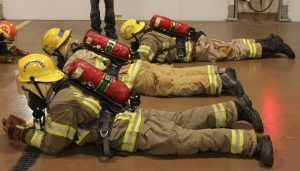 Once the required training and education is completed, the volunteer firefighter will respond to emergencies alongside full-time and part-time firefighters. This is an excellent opportunity for men and women interested in becoming a career firefighter. Candidates who are dedicated and responsible in their service to the organization and community can result in a long and successful career in the fire service. If you are a resident of Minooka Fire Protection District, nearby Channahon, or Shorewood, contact us. 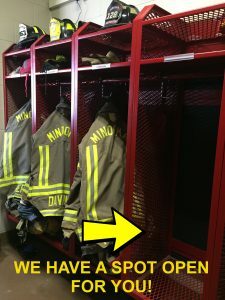 Applicants who reside in Channahon and Shorewood will require our Fire District to gain approval from the Channahon and Troy Fire District to allow you serve as a volunteer firefighter in Minooka. Minimum 18 years old, good physical condition, required to pass a medical physical and pass a physical agility evaluation; pass initial and random drug and alcohol screenings; no felony or serious misdemeanor conviction. Candidate must be committed to a schedule that requires a minimum of three hours of training per week at the fire station, which is necessary to complete orientation and fire academy which is held a couple of nights per week. Applicant is required to provide 3 letters of recommendation, one of which must be from an active service firefighter. Minooka Fire Protection District is an Equal Opportunity Employer. Applications are available on-line or at the Minooka Fire Protection District Headquarters, 7901 E. Minooka Rd. between hours of 8:30 a.m. – 4:00 p.m., Monday – Friday (excluding holidays). Return completed applications and supporting documentation to the above address and business hours. Anyone, ages 15 up through their 18th birthday, lives within the Minooka, Channahon, Troy (Shorewood) Fire Protection Districts and maintains at least a “C” average in school, may apply. This is a great opportunity to become a part of a rewarding career in the fire service. If you are interested in exploring volunteer opportunities with Minooka Fire Protection District, stop in Monday-Friday, 8:30am-4pm to pick up an application.